When you buy classic auto insurance the policy normally runs for a full year. But what if you don’t need cover for 12 months ? You might, for example, want to borrow a friend’s car for the weekend or maybe share the driving with a companion on a long trip. Perhaps a relative is coming to stay with you and intends to borrow your car. Of course, you could simply add a named driver to your existing policy. But it might be expensive and it could jeopardise your no claims discount if they were involved in an accident and made a claim. Temporary auto insurance is a possible solution because the cover is only short term, usually between 1 and 28 days. So you don’t pay for more insurance than you need. You can also rest assured that any claim made by other people on the separate short-term insurance auto policy will not affect your own no claims discount. Where can I get cheap temporary car insurance from ? It’s usually quick and easy to arrange short term car insurance. You can often apply online and cover is almost instant. It can therefore be a convenient way to insure a new car so that you can drive it away immediately. You might also want inexpensive auto insurance for just one day if you have borrowed a van to move house or if your own car is in the garage and someone has lent you a spare vehicle. Who is temporary car insurance available to ? Most insurers will cover drivers between the ages of 18 and 75. Temporary car insurance under 21 is more difficult to find because the minimum age is 21 for some auto insurance specialists. You might also struggle to find cover if you have a poor claims history, several points on your licence, or previous motoring convictions as you present a bigger risk to the insurer. You usually have to be in possession of a full UK driving licence, though many firms these days will cover motorists with european licences as well as provisional licence holders. When are temporary car insurance policies useful ? Temporary car insurance policies can therefore be useful if you are helping to teach a friend or relative to drive. After all, you would not want to put your no claims discount at risk by adding a learner driver to your own policy. Some customers also take out short term car insurance to cover a son or daughter who is back home from university for the holidays and wants to borrow the family car. Take care if you plan to drive abroad with short term car insurance. You might get european cover as standard, but it will typically be the bare legal minimum, which usually equates to third party cover only. Your insurer will probably agree to arrange comprehensive auto insurance for driving on the continent, but you will almost certainly have to pay a higher premium. For the average driver in the United States, a typical car insurance policy can be both a pain to obtain and a major blow to the budget. For infrequent drivers, long term policies are downright unnecessary. Enter temporary car insurance : the answer to traditional car insurance policy woes. Everybody knows what is auto insurance or business auto insurance, but what is temporary car insurance ? In a nutshell, these are fast and simple policies drafted by insurance companies that offer the same types and amounts of insurance coverage as long term auto insurance policies. The major difference, as indicated in the name, is that temporary car insurance allows the driver to pay only on specific dates when driving, and the insurance is not automatically renewable. As stated above, temporary automobile insurance will provide the same amount of coverage as traditional car insurance polices to ensure that drivers are not left unprotected in the unlikely event of an accident. These policies can last anywhere from one day to a month. In most cases, temporary policies will cover liability auto insurance and collision coverage, uninsured and underinsured motorists, and may include medical payments for passengers. The prices for temporary car insurance vary based on multiple factors such as location and the make and model of your car. However, almost every temporary car insurance policy shares in common a higher price structure than regular insurance. Temporary car insurance may be a bit more costly than a traditional policy, however, you are only paying for what you need, so you save in the long run. It is important to note that temporary car insurance isn’t yet available in every state. – immediate drive away insurance if you’ve just bought a car. How to get best auto insurance for a short term ? The first step in acquiring temporary car insurance is contacting your current (or previous) auto insurance agent. Many insurance companies provide short term insurance plans, however, a handful still does not. A better idea, before jumping right in, is to do a quick internet search and utilize auto insurance reviews, auto insurance calculator or temporary car insurance compare. The websites often offer comparison shopping that will make your search smooth and speedy. Customers are typically asked to fill out a quick, easy to understand questionnaire that gives results within minutes. Most online insurance websites provide customers with a printable policy as soon as a transaction is completed, this makes obtaining short term automobile insurance fast when you need immediate coverage. – no more than one fault claim in the last 36 months. What is temporary car cover ? With many types of auto insurance, the individual can make a judgement call on whether they will need it or not, but car insurance is compulsory in the UK. However, an affordable auto insurance is not so easy to find and can put many people off driving, even when they really need to. 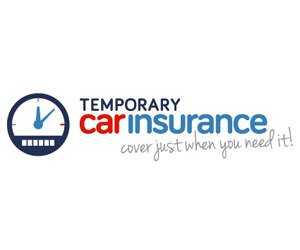 Temporary car insurance is one way that people who can drive, but do not constantly rely on cars to get around, can cut the cost of motoring when they do need to.Essentially, temporary car insurance is a short term car and van insurance policy for people who only require cover for between one and 28 days. Even people who do not have cars come across some situations where driving is necessary. One of these is if you need to borrow a car or a van from a friend to help you move house. Moving your belongings from one place to another can be an arduous task as it is, never mind if you don’t have a vehicle. Temporary car insurance allows you to pay a small premium for the couple of days you will need it. Another common use for temporary car insurance is when children return from university for the holidays and wish to commandeer the family car. With university aged children, temporary car cover can be a massive help as there is no point having them insured the whole year round, especially when premiums for younger drivers are so high. Temporary car insurance can also be of use to people who have just bought a new car and want to get it on the road straight away. While you are waiting for a main policy to come through, you can quickly and conveniently take out a temporary insurance policy enabling you to enjoy your new motor straightaway. You could also take out temporary car insurance if you are planning a UK break, borrowing a car and insuring yourself for the duration of your break, gives you the flexibility to get out and about to fully enjoy your holiday location, plus you can take all those necessities with you to prepare for the UK weather, without having to carry it, as you would if travelling by train or coach. A no claims bonus is invaluable to drivers who want to earn some benefit for being a careful driver. Building up a good no claims bonus drives down insurance premiums, and therefore is well worth protecting. If you’re teaching a friend or relative to drive and don’t want to risk your no claims bonus that you have spent years building up, then adding them onto the policy by way of temporary insurance can eliminate this risk. What does temporary car insurance protect ? This level of cover will ensure that should your car be involved in a collision, compensation will be available in respect of injury of other people, including passengers, and damage to other peoples property resulting from an accident. This is the least amount of cover that is legally required, but most insurance companies will offer more comprehensive versions of the insurance. Temporary car insurance is available to drivers between the ages of 18 and 75 years old, and covers them for between one and 28 days. How to insure a temporary driver on your car ? What’s the best way of insuring someone else to drive your car ? Should you add them to your car insurance policy on a short term basis or getting them to take out their own temporary car insurance ? If they are a family member and likely to get behind the wheel on a regular basis, you might consider adding them as a named driver to your current policy.But is this the best approach if someone you know just wants to borrow your vehicle for a weekend away or a holiday ? In either case, it’s likely to be worth considering some form of temporary car insurance. Adding a riskier named driver to any insurance policy will push premiums up. Insurers regard temporary car insurance under 25 as the riskiest group, so it may make sense to take a student son or daughter off your annual policy if they are not going to be around much. When they return at Christmas, Easter or next summer, however, you can still allow them to drive by taking out temporary cover. This is likely to save you a lot of cash, and there are two ways you can do this. The first is simply by adding your child as a named driver for a fixed period. Chances are, this will be far cheaper than keeping them on the policy for the whole year. All you need to do is call your insurer shortly before you want to add the person to your policy and provide their details, such as age, occupation and claims history. Your provider will then give you a price for the extra cover, based on the risk of the new driver, and the length of time you need the insurance for. This may also include a small administration fee of, say, £20 or £30. The other alternative is to take out a separate temporary car insurance policy for the new driver. Such policies typically last for up to a month and, as with adding a named driver, the amount charged will depend on personal factors such as age and claims history, as well as the make and model of vehicle and where it is being kept. Do bear in mind that some providers will not offer temporary car cover to drivers under the age of 21. So how do you choose between these two approaches ? The cost is likely to be the biggest consideration but the cheapest option really depends on the insurers and the individual circumstances of the drivers involved. The best bet is to get quotes for adding a driver, and for a standalone policy. And don’t forget to check the price for adding a driver for the whole year. In some cases, this might not cost you a penny extra. Vanessa Chance from insurer Liverpool Victoria points out : “It’s worth noting that depending on who the named driver is and their age, driving history and so on, the premium may not increase a great deal, if at all, even if they are added for a full year”. But this is more likely to be the case when adding low risk, such as older, more experienced drivers. Don’t forget take any administration fees into consideration. Remember that if you plan to add someone to your policy on several separate occasions over the course of a year, paying successive admin fees could mean it is better value to keep them on the policy permanently. What happens after an accident ? A standalone temporary insurance policy means that the new driver, and their insurer, is responsible for any accidents or damage they cause. Chance says that, if a named driver had an accident in your car, it could push up your insurance costs in future as well as lose your no claims discount. “If the accident was their fault it could increase the premium”, she says. However, if your car is being driven by someone who has their own temporary cover in place, your own future insurance costs will be unaffected by any mishaps they experience, and they will have to cover any excess payments out of their own pockets.